We’ve seen a radical shift in the smartphone industry this year, as the focus has now been centered on value more than most things. It first started in the mid-range category, where devices like the Alcatel Onetouch Idol 3, Asus Zenfone 2, and Microsoft Lumia 640 XL gained attention early on in the year, only to be exacerbated by newer devices like the Moto G 2015. Only recently, we’ve seen this shakeup find its way into the high-end segment as well, evident in the value-conscious prices of the ZTE Axon Pro, OnePlus 2, and Moto X Style/Pure Edition. 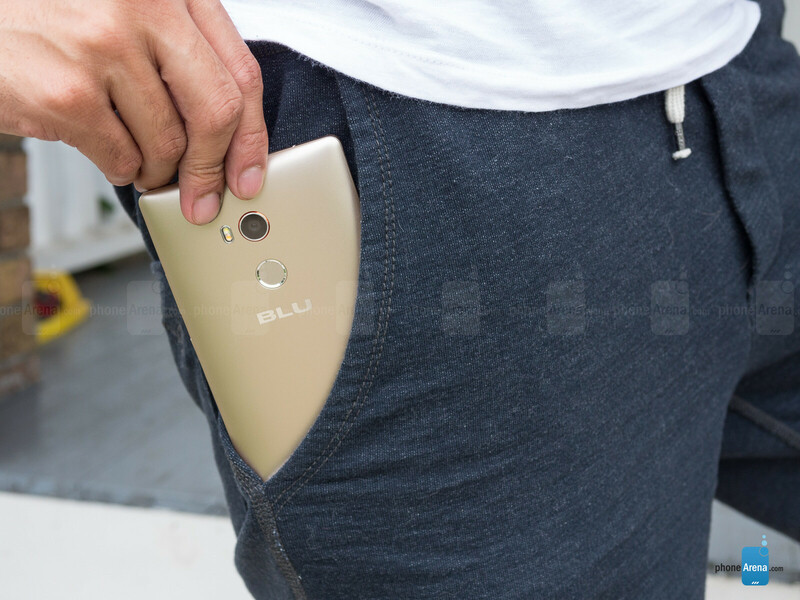 Well, now you can add yet another one to that list – the BLU Pure XL. Even though BLU is still etching out its place in the smartphone world, they’ve got a beauty in the BLU Pure XL, which surprisingly enough, might outclass those aforementioned devices. Is this finally the device that’ll elevate BLU into the major leagues? It’s wide, heavy, and ginormous in size, but its solid construction and substantial feel makes this feel like a well-built device from BLU. 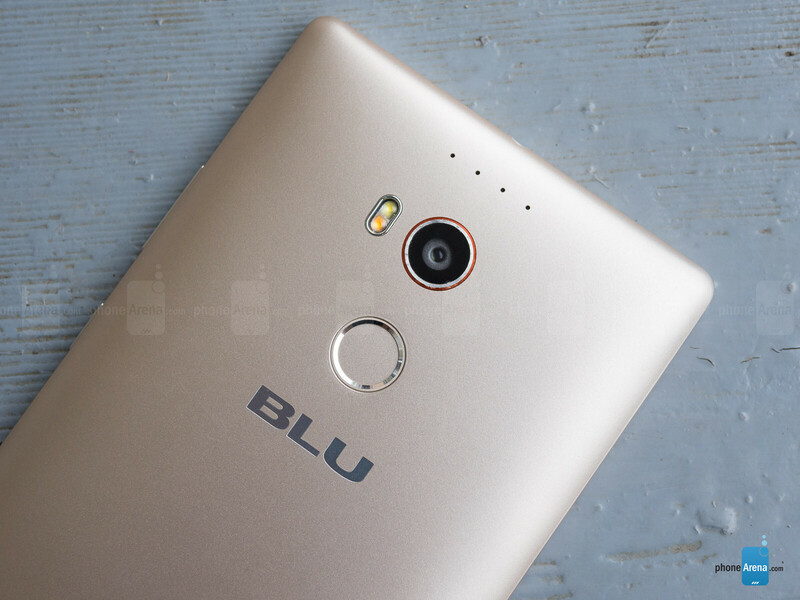 We’ve encountered some low-end BLU smartphones before, and let’s just say that their build qualities weren’t necessarily the most solid – made obvious by how some of the seams weren’t tightly put together. Luckily, it looks as though BLU spent a lot of time and attention on the Pure XL, partly because it features a plastic rear casing accented by an aluminum metal trim bezel. And yes, the construction and build quality feel substantially superior this time around. The design reminds us of the OnePlus 2 in a way, seeing that the casing has a slight curve on the back, but it meets at a sharp edge around the sides. Even though it’s touted to be a premium device, the plastic material of the rear casing doesn’t particularly reflect that. However, the gold color and its subtle shimmer does nicely to mimic a metal finish. It’s most definitely a phablet, too, since it’s very wide and difficult for one-handed use – so two hands are better than one for this. Frankly, the BLU Pure XL is a decent looking “premium” phone, but it still has a long way to go before achieving the same level of prestige as some of the big boys. Nevertheless, this is a good foundation to start on that path. Looking around the phone, it features all the common ports and buttons – they consist of the power button and volume controls on the right edge, microUSB port and mic on the bottom, and 3.5mm headphone jack on the top. Interestingly, BLU has fashioned on a dedicated two-level shutter key as well, which gives us more of that practical feeling when capturing a photo. Not stopping there, the back cover is removable and provides us access to its microSD and dual-SIM slots. What’s even more impressive, BLU has blessed the phone with a fingerprint sensor directly below the camera – and it’s recessed to distinguish it, as we feel around with our index fingers. 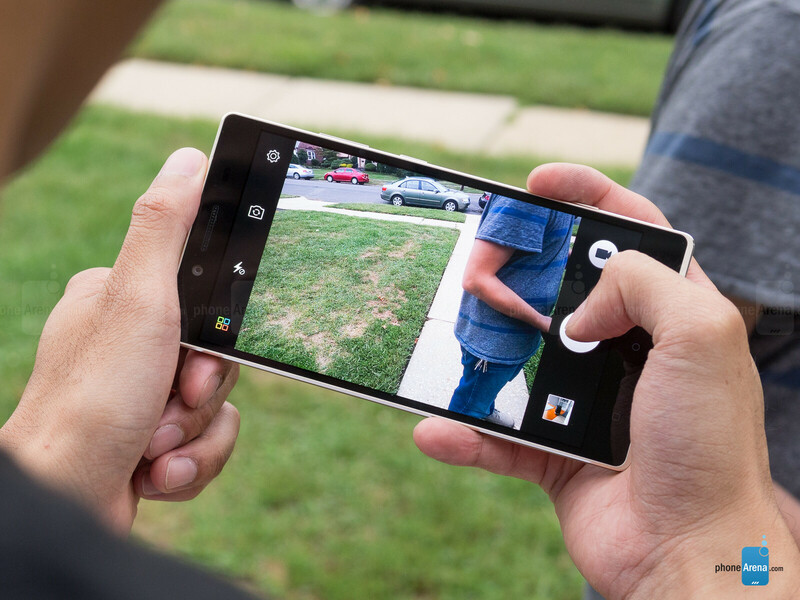 Unlocking the phone is achieved by just resting our finger over the sensor. Unlike other phones, the fingerprint sensor here has a matte finish, so it's not as shiny, but doesn't get smudgy. Going with Quad-HD resolution makes it a competitive player in terms of specs, but it lacks the other valued characteristics we see in premium phone displays. Cementing itself as a high-end piece of tech, the BLU Pure XL is accompanied with a 6-inch 1440 x 2560 (Quad-HD) Super AMOLED display, making it a relevant player in the space. Naturally, the 490 ppi pixel density produces crisp and sharp details that make our eyes glaze over as we look intently on the display. And the spacious real estate means that we have more room to enjoy high-def videos and all sorts of games. Beyond its detail excellence, the screen here actually boasts several qualities that make it very similar to the 6-incher found in the Nexus 6. For starters, it has a peak luminance of 343 nits. While that’s not terribly good amongst the other things out there, it’s slightly better than the Nexus 6’s weaker output. There’s enough glow and iridescence for this Super AMOLED screen to stand out in regular, indoor conditions, but the weak brightness output makes it problematic for outdoor use when the sun is out. Secondly, it has a very oversaturated color reproduction, which again, is almost similar to the Nexus 6’s panel. Putting the two displays side-by-side, they’re almost direct copies of one another, as they achieve the same overblown, over-saturated color tones. However, the BLU Pure XL’s screen exhibits a significantly colder tone with its ~8100K color temperature. Combine that with its over-saturated color reproduction, this screen harkens back to the old AMOLED displays from Samsung. Needless to say, there’s the good and bad with the screen, with the Quad HD resolution being impressive, but the color quality and brightness levels being disappointing. this shows how far ahead Samsung is with optimization and energi efficient internals! Remember that this costs $350 and in most places getting normal S6 with 32GB for under $600 is a small miracle, not even talking about Note 5. This is a pretty good phone for the price. I would certainly consider this phone if not for that crappy camera quality it has. I mean it is probably much better than Blu's other phones, but it looks like at best a lower-mid tier camera on this. I would hope for at least something around the same level of the OP2 or ZF2. what are note 5 and axon pro doing here? are they around the same price point?! i, for one, when i brag with my phone, i'm showing it off to people who paid the same amount of money for their phones as i did. i'm like: "look what i've got, for exactly as much as you paid for your lazy toy!" I'm pretty convinced that I'm getting a Pure XL. I was looking for a good follow up to my OnePlus One, I received an invite for a OnePlus Two the day this phone was announced and decided that the OPT just doesn't live up to what I want. Also being that I've had a BLU Studio Energy for 5 months now as a backup phone, and LOVE that phone I'm convinced that Gionees/BLUs reliability is sound. I for one welcome our new Gionee overloads. It is rebranded Gionee E8. I would agree, except that the Nexus 6 doesn't have a microSD slot. Also, I don't think you can get a 64 GB Nexus 6 for that price. 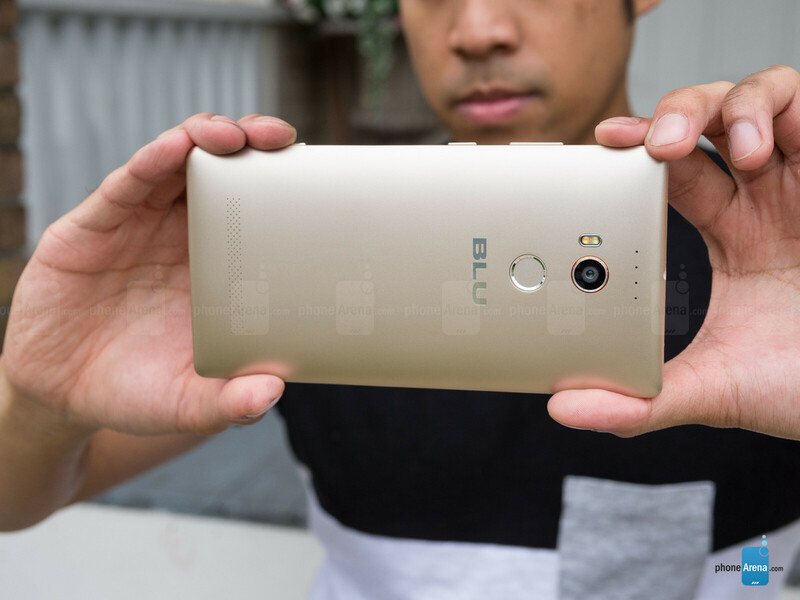 Two questions on the review: 1) What's the expectation from BLU for getting Android updates on this phone? For their low-end phones I expect updates are non-existent but this phone should be different. This thing should be running Marshmallow. 2) So if BLU ditched the app drawer can we get it back using a custom launcher? I know the Blu Studio 6.0 LTE just got an OTA update, but it wasn't from 4.4 to LP. So who knows? One might assume that, being a "flagship" (or nearest to one that they have), it might get updates, but again, who knows? I am also wondering if 3rd party launchers can add the app drawer. I would assume so, since they replace the stock ones. yes, but with North American LTE and WCDMA bands. Speaking of the Moto X Pure; Where's the review for that? It's been in customer hands for almost a week now. I too am eagerly awaiting this review. I'm guessing John V. will be tasked with this one (since it's available in the US), and PA has been keeping him busy the last several days. The BLU Pure XL, Lenovo PHAB, Tab S2 9.7, Surface 3, Xiaomi Note Pro, HTC 626, all within the last week or so. The Moto X Pure/Style is an important device, so hopefully he's giving it a good going-over and not rushing anything. Most new phones of 2015 have bigger battery capacities and terrible battery life. That's QHD for ya. This phone also is a bit dim, so they have to crank the brightness to hit the 200 nit mark for the battery test. You're right. I'm good with 1080p and I think QHD is just overkill. Even Sony upscaled the Z5P to UHD for media only and kept the rest at full HD. Oh, Mx5 and OPT get 5.8 while this rebranded phone that might just die on you after 3 months while the battery goes kaboom gets 7.8. Work up on your grade system PA, it is not reliable, just like this phone. well per the reviews, this apparently had snappy real world performance while the OP2 had sluggish performance, in spite of a superior soc. So the score apparently does reflect this. Even if the OP2 may be superior in most other regards, sluggish performance is a deal breaker for people. "It’s wide, heavy, and ginormous in size, but its solid construction and substantial feel makes this feel like a well-built device from BLU." 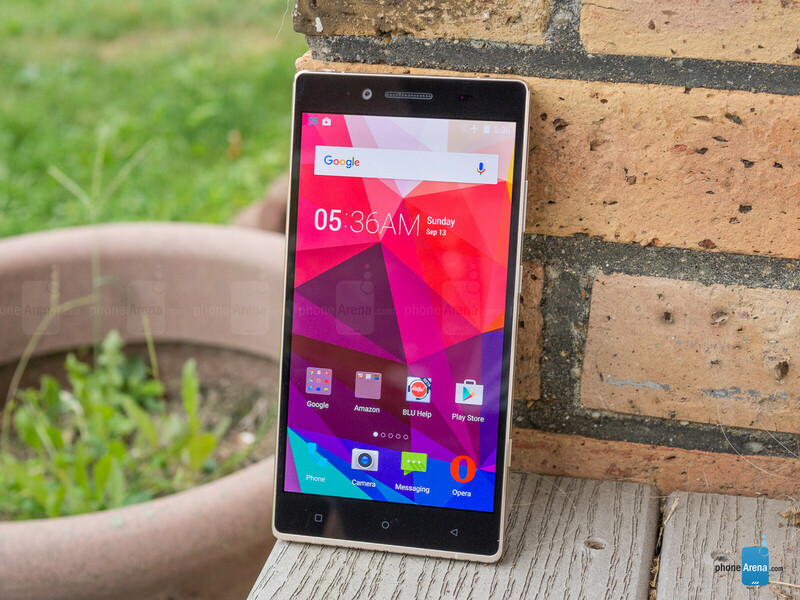 This is the Gionee Elife e8 phablet, manufactured by Gionee? 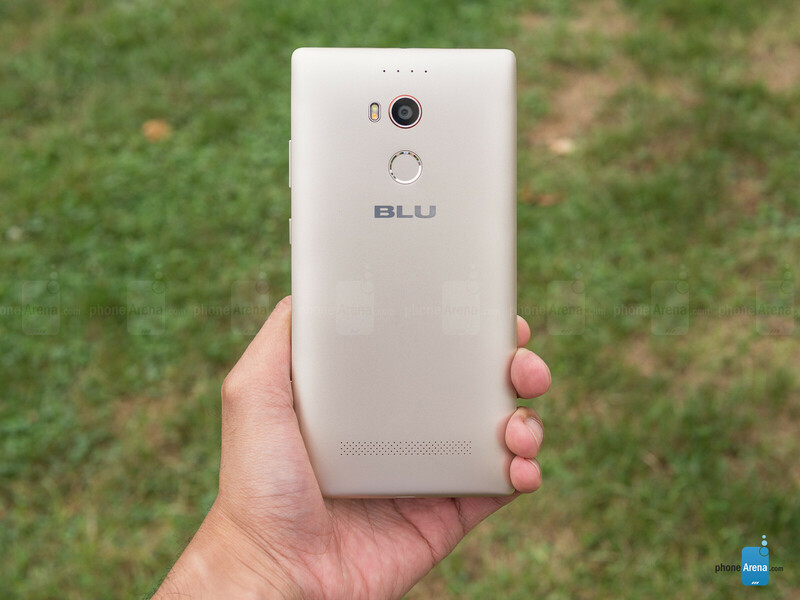 Blu do not manufacture any phone? They import phones from Chinese brands like Elephone, Cubot. Meizu, etc & sell them with a different name under Blu brand. John buddy.. I am a bit surprused that you were unaware about what device this actually is? And if you were aware. you should have mentioned it upfront in the review? I am sure most of your reder would be familiar with Gionee by now. & would have most likely heard about the elife e8. Knowing that this is a popular device from a well known Chinese brand would help in deciding whether to buy or not. they just need to work on optimizing battery, gpu and camera performance,esp battery and update their phones,i like their prices. would probably choose Asus Zenfone 2 over this just becuase of upgrades and dual active sim cards. That's funny .... This phone is a 100 % copy of the Allview x2 xtream !!!! !